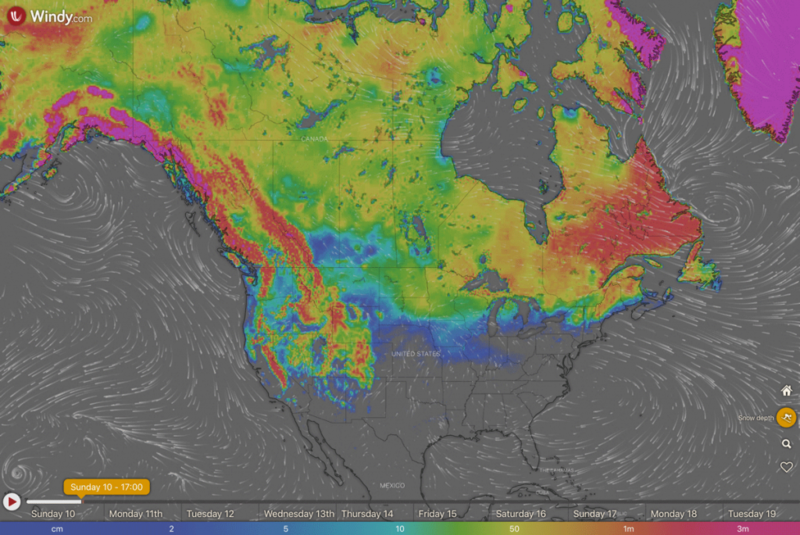 Overall North America has seen the most snowfall in the last 7 days. 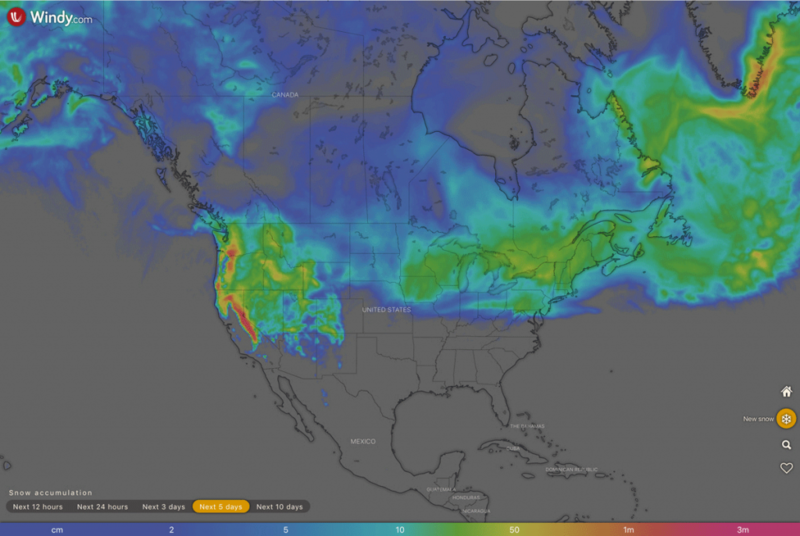 California USA, has been the biggest beneficiary with a number of ski resorts seeing over 2 metres of snow. Heavenly, near Lake Tahoe, being one of the best know having had 248cm and the snow is still coming .Other resorts in California with huge amounts of snowfall are Northstar with 261cm, Sugar Bowl 243cm, and Squaw Valley 215cm. Utah is the second state having huge amounts of snow, with the Mammoth Mountain having 190cm and Alta Ski Area 175cm, with many more showning similar levels. As with California, the large amounts of snow has resulted poor travel conditions. More snow is forecast over the coming week. Europe has seen less snow than North America in the last week, but still there are countries and resorts that have had in excess of half a metre of snowfall in the last 7 days. Norway and Switzerland are the two biggest beneficiaries of the current snowfall. In Norway there has been upwards of 50cm of snow in a number of reports. Roldal in Western Norway has had steady snowfall, with nearly half of it’s 94cm that fell over the last 7 days, falling in the first half of the eek. Yet the snow continues to fall with 35cm in the last 24 hours. Geilo another well know Norwegian ski resort, saw 50cm, although most of this was in the last 3 days. Skiing conditions remain good in these areas with well over 100cm of snow coverage being seen in most resorts in both Western and Eastern Norway. 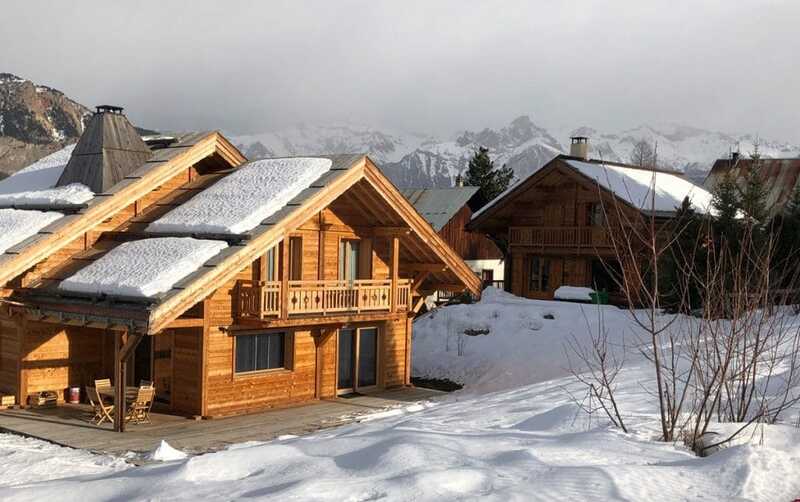 There has been 30cm of snow across large parts of the French Alps meaning the good conditions continue to improve with a large percentage of ski resorts benefiting from over 100cm of snow on their upper slopes. Italy has also had smaller amounts of snowfall, but still has great skiing conditions with a number of resorts having over 200cm on the upper There has been 30cm of snow across large parts of the French Alps meaning the good conditions continue to improve with a large percentage of ski resorts benefiting from over 100cm of snow on their upper slopes. Italy has also had smaller amounts of snowfall, but still has great skiing conditions with a number of resorts having over 200cm on the upper slopes. In Switzerland, as last week the snow conditions have continued to improve. Adelboden has had a further 41cm lifting its coverage on their ski slopes to 70cm/181cm lower/upper slopes. Megeve in the Northern French Alpes also had 40cm resulting in the snow depth being 120cm/220cm lower/upper slopes. 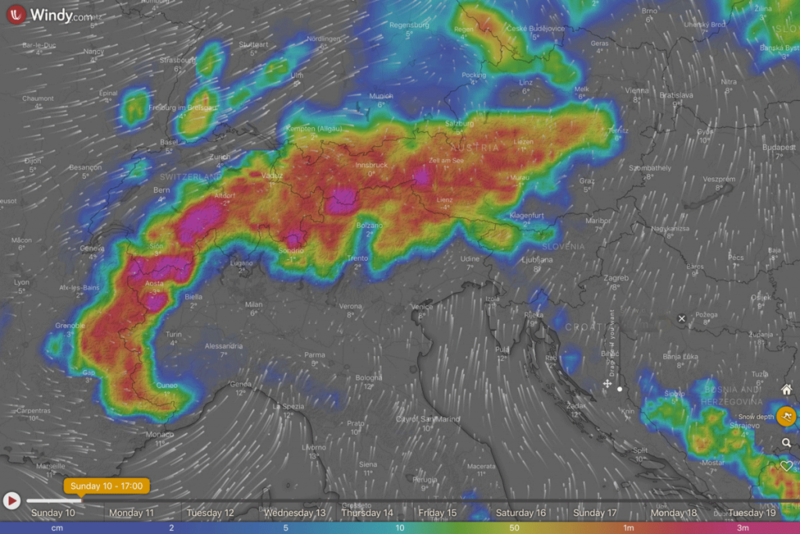 If you also look at the Pyrenees, again there is a continued improvement after such a slow start to the season. Font Romeu and Pyrennee 2000, which is a small interconnected pair of resorts, have 40cm and have reliable snow conditions with 110cm/125cm on their lower/upper slopes. As the satellite images show in the photos you can see that both across the Alps and Scandinavia there is plenty of snow depth across the majority of ski resorts. 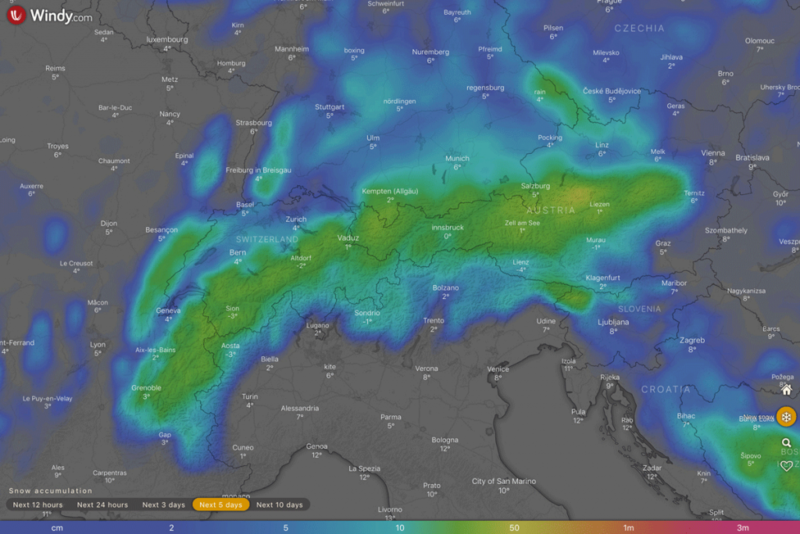 For the coming week you can see there is snowfall forecast across a large part of the Alps, but only small amounts in the Pyrenees. Looking at North America the main forecast is for snow in the Western parts of the USA, while minimum amounts od new snow in Canada, where the temperatures are very low at the moment and the forecast is for this to remain unchanged with Revelstoke in British Columbia forecast for average temperatures to be around -20c.